The DrumBrute Impact is the latest member of the Arturia Brute family and is a compact and affordable polyrhythmic analog drum machine & Synthesizer. With the new DrumBrute Impact for $299 USD, Arturia shows that drum machines also becomes more affordable. 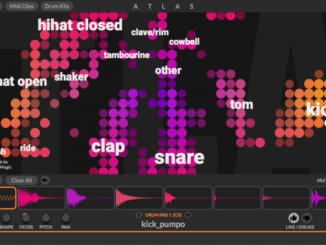 The DrumBrute Impact is a new analog drum machine/Synthesizer that features 10 pure analog instruments, a polyrhythmic step sequencer with creative features and more. New in the DrumBrute Impact is a FM drum voice as well as an interesting colour features that includes new drum variations. I had the chance to check out the Arturia DrumBrute Impact since the beginning of the week. Check below my first look video where you get an overview and sound demo of this new analog drum machine! Putting the focus on “Brute”, DrumBrute Impact features 10 high-energy, refined, punchy analog sounds. 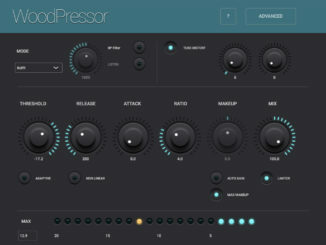 You can also use the exclusive “Color” sound-shapers to introduce unique, per instrument effect for some variation. 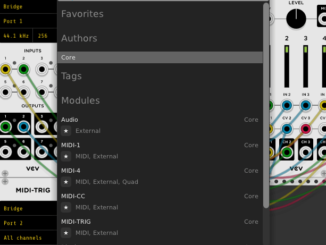 Boost the harmonic content, add some drive, snap, or crack at the touch of a button, you can even automate tonal changes by creating a “Color” sequence. If you want your drums to push even harder, use the built-in distortion on the output for some drum-optimized crunch. DRUM: a percussive synth voice with adjustable carrier pitch, decay, FM amount, and mod pitch. 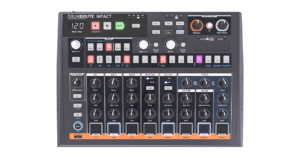 Arturia DrumBrute Impact is available for pre-order now for US $349 / 299 €, and is expected to be available in August, 2018.